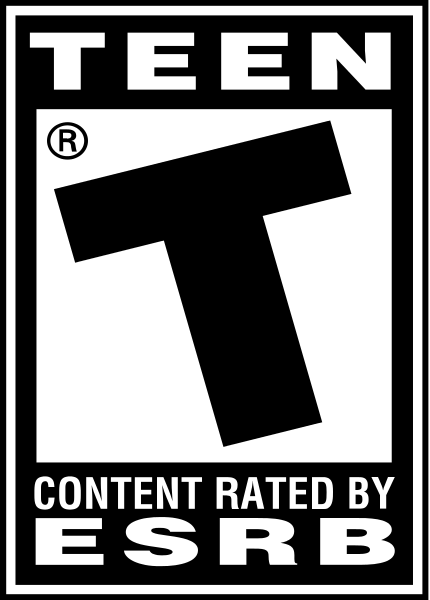 CLASSIC ARCADE ACTION ON THE RUN! 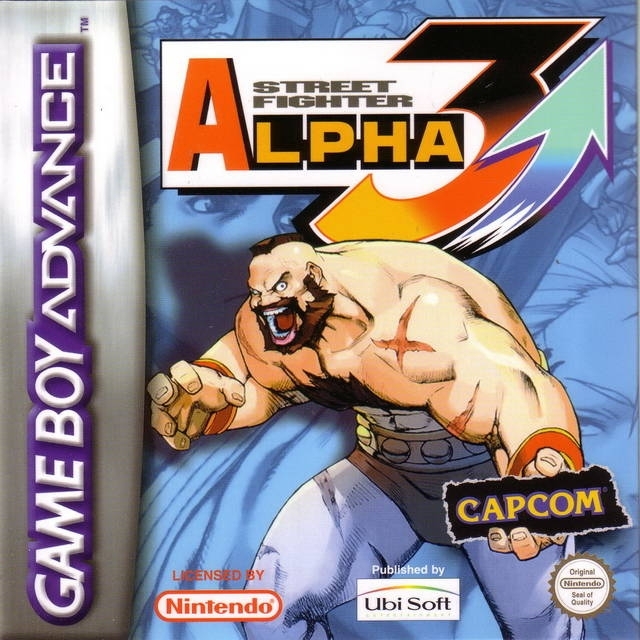 Capcom unleashes the biggest and brightest star in the Street Fighter universe on the Game Boy Advance system. 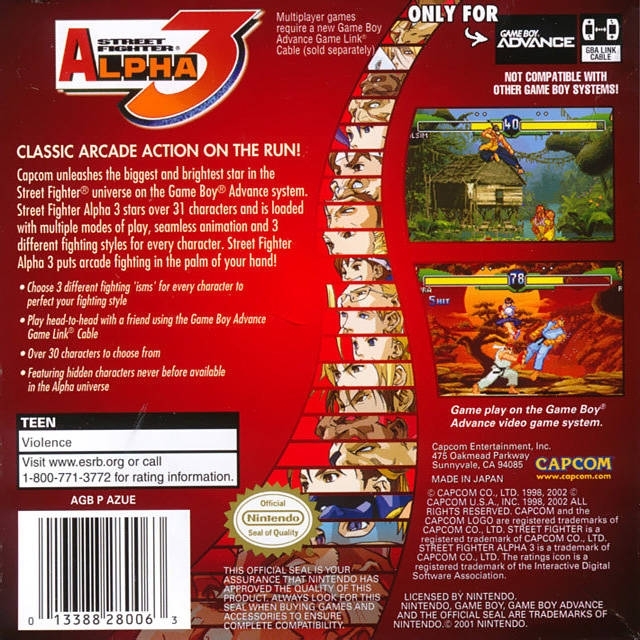 Street Fighter Alpha 3 stars over 31 characters and is loaded with multiple modes of play, seamless animation and 3 different fighting styles for every character. 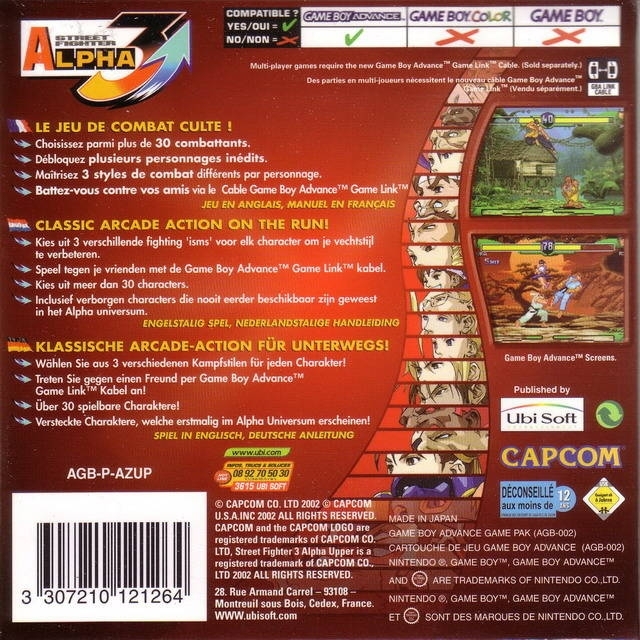 Street Fighter Alpha 3 puts arcade fighting in the palm of your hand! They even ADDED new characters!! 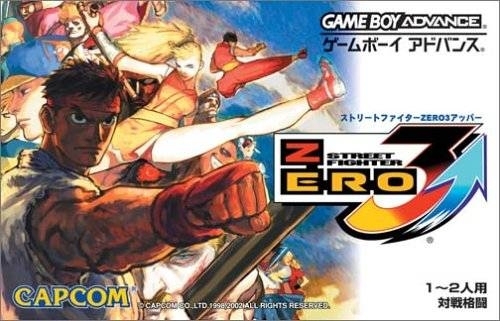 Game is a pretty damn good fighting game for GBA!